Do you want to get involved in Bitcoin in Singapore but prefer to hear about someone's first-hand experience before you take the plunge? I'm located in Singapore and I recently bought Bitcoin. Let my journey be your guide. I'm located in Singapore, have been living here non-stop since 2004, so you could say I'm pretty much settled in Singapore. Now, whilst my background is in IT, I'm no geek by any stretch. And so when I first heard of "Bitcoin" in 2010, I didn't give it more thought than I do most of the "Next Big Thing" hype that the IT industry seems to love to scatter about every so often. Since that day in 2010, I came across Bitcoin quite a few more times; more often than not, it was some web report or a news item about either Bitcoin's meteoric rise or, invariably, Bitcoin's spectacular crash. I remember shaking my head a lot. Whilst Bitcoin was happening in my background, even though I did take an occasional sidelong glance at it, I never felt compelled to read up on crypto-currencies in general, or Bitcoin in particular. To me, Bitcoin seemed to be this esoteric fad, interesting perhaps for nerds, but not really relevant for non-nerds like me. By and large, I just kept shrugging my shoulders and shaking my head every subsequent time I heard of Bitcoin's value shooting up, only to come crashing back down soon after. At most, I felt a bit of sympathy for all the poor saps that had decided to chase this obscure mirage that would one day soon end up as just another road kill victim along the virtual road to the future. I'm not sure exactly why, but I stopped shrugging my shoulders a few weeks ago. I think it was a combination two things: 1) a Bitcoin forum post I read that explained in real simple terms what Bitcoin actually is and what it can do, particularly in the future. And 2) My sheer amazement that, in spite of all those crashes that Bitcoin had endured, it was still garnering so much confidence from so many investors. Perhaps there was something to this nerdy Bitcoin after all? I became intrigued. So much so that I did some serious research on Bitcoin. I read Bitcoin articles on respected finance websites and spent hours of YouTube. The YouTube clips by Andreas Antonopoulos especially, turned out to be a treasure trove of solid, unbiased information about Bitcoin. These clips were a real eye opener. It quickly dawned on me that Bitcoin is not a passing craze for nerds at all. Bitcoin, I realized, would be huge one day. To be sure, Bitcoin is still at a very nascent stage right now, akin to the time the internet started breaking onto the scene. Bitcoin now is sort of like dial-up internet access was back then. It's by no means fully developed yet, has plenty of detractors and is far from mainstream. But one thing is clear: it's a game-changer in the making, in the same way the internet was in its early days. Now, I still felt as if I was late to the party, perhaps even too late. After all, Bitcoin had already crossed the 1000 USD mark. Previously, I'd let that defeatist sentiment convince me to just let the whole party pass me by. Google, Facebook, Amazon, I'd decided against getting aboard these boats, regretting it over and over as their market caps went ever higher. This time around, Johnny-come-lately notwithstanding, I was going to join the fray. Bitcoin is simply too awesome not to one day become part of the world's fabric. If this is where you are right now, keen to buy Bitcoin but not quite sure how to go about it, then this is where things get interesting for you. Bitcoin increased in value considerably in 2017, so getting even a single Bitcoin is no longer cheap. Sure, you can buy Bitcoin in increments, but from the get-go, I wanted at least one whole Bitcoin. I set off on my Bitcoin-buying journey. But before we get to the nitty-gritty of actually buying Bitcoin, let's first explore what it was that made me do a complete U-turn. What was it that made me think that Bitcoin is worthy of allocating some of my hard-earned money. For starters, the single most important reason for my 180 degree turn-around from skeptic to firm believer, is the fact that the number of Bitcoins available will be maxed out in the year 2140, at just under 21 million* Bitcoin. That's right, Bitcoin, unlike any other investment asset will be a 100% finite asset. Even gold, as rare as it is, is not quite finite. Additional gold is continuously being mined and added to the world's stock after all. Fast-forward 10 years and a lot of newly-mined gold will have been added to the world's supply. This inflationary aspect of gold, and all other precious metal commodities, results in price pressure. Bitcoin doesn't have this problem. In fact, the number of Bitcoin being released into circulation decreases going forward, courtesy of its mathematically-driven source code. This is part of what has been causing the incredible Bitcoin gains we're seeing recently. 1. Nothing drives a value higher than ever-tightening scarcity. The next fact that convinced me to buy into Bitcoin is the way Bitcoin is not only fully open-source, but it's also completely decentralized. What this means is that nobody is the boss of Bitcoin and no government can meddle with Bitcoin. This is a major deal, because the de facto global currency, USD, as we all know, is constantly subject to tweaking by the Fed. Where "tweaking" stands for diluting the USD, which basically results in the USD become ever less valuable. This also applies to many other currencies, as countries that are heavily indebted have actively been engaging in frenzied money-printing in a race to the bottom so as to make their debt load a little less insurmountable. Of course the result of all this additional money is inflation. And this means that your nest egg, secure as it is in your bank's savings account, is actually eroding a little every single day. Your saving's purchasing power reduces to the tune of 3 to 5% every year. You may not be spending that money, but you're losing some of it every single day nonetheless. Why should your hard-earned money, your life savings, be subjected to this dilution? 2. Knowing that Bitcoin is 100% inflation-proof renders Bitcoin extremely desirable as a non-erodible store of money. Bitcoin's immunity to inflation is one of its driving forces. Along with the fact that more and more governments, organizations andcompanies are giving Bitcoin the nod, which in turn draws in more and more interested parties, which then enhances the trend even more. But it's not just a trend that's driving and sustaining Bitcoin. Bitcoin's raison d'etre actually makes a lot of sense. After all, as a society we've already made the transition from cash to cashless, pretty much without really being aware of it. The cashless movement started off with credit cards. But we recently progressed to the next level of cashless convenience: tapping. We've been tapping our EZ-Link card, our credit card. We can even use our mobile phone to tap for payments. And it's no big deal to us; we're used to not seeing cash pass through our hands when we pay for things. 3. The time is right. In fact, in some countries, Bitcoin is already working as per its design. If you look at Venezuela, Greece, Argentina and other countries where the population has moved away from the national currency, you'll see that Bitcoin is the new currency of choice. And given Singapore's passionate drive to be the world's first true Smart Nation, it's clear that Bitcoin may well play a prominent role. Ok, let's switch gears. Back to how to actually get Bitcoin in Singapore. How do you buy Bitcoin in Singapore? In effect, there are two** main methods to buy Bitcoin in Singapore. The easiest but somewhat costly way is to get it from one of the ATMs that are dotted around Singapore. You'll be paying a pretty handsome premium for the convenience, however. In addition, you'll need to arrive at the ATM early, because the machines tend to run out of stock in a hurry. The other way to buy Bitcoin in Singapore is to get it from one of the Singapore Bitcoin exchanges. I got my Bitcoin from Coinhako.com. Incidentally, there are quite a few overseas Bitcoin exchanges, but I prefer to buy close to home, i.e. here in Singapore. This way, should an issue arise, I can contact somebody right here. I also know that for a Bitcoin exchange platform to become government-approved and established in Singapore, it must have jumped through a number of serious regulatory hoops. In a nutshell, I consider Coin Hako safe. The other reason I like Coin Hako is that it has an integrated Bitcoin Wallet. Because in order to store your Bitcoin, you'll need a Wallet. When you buy your Bitcoin on Coin Hako, you get the Wallet thrown in for free. Ok, once you've selected Coin Hako, you'll need to register your account there. Now, whilst this does entail uploading a few personal documents, it's a pretty smooth and painless process. Coin Hako was quite prompt with processing my application. Before I knew it, I was at the next step, which is funding your account with the Singapore Dollars you're going to use to buy Bitcoin. I transferred my cash from my bank to my Coin Hako account the normal way, i.e. by "FAST" transfer and within a few minutes, I received an email that my account had been funded. Note that Coin Hako takes some commission; I can't recall how much, but it was nothing excessive. And that's it. With my money in place, I was ready to pull the trigger. I got my Bitcoin shortly afterwards. And to be honest, I never looked back. It's been fun ever since. There have been ups and downs. But by and large, it's been mostly up. Sure, Bitcoin is still in its infancy. But if your horizon is 5-10 years away, then just stick to your buy and hold plan and enjoy the ride. Incidentally, speaking of horizon, mine is at least 5 years away. There have been plenty of forecasts by plenty of analysts, both objective and subjective, that Bitcoin has the potential to go to US$1 Million in this sort of timescale. It's entirely possible. So I've set my sights on that order of magnitude before I convert my Bitcoin stash back to fiat. Naturally, there will be corrections along the way, no doubt about it. We've had quite a few corrections already. But Bitcoin is just too relevant to not become part of our lives in the future. In a big way. As far as I'm concerned, the sum I've put into Bitcoin is money is a sum I can afford to lose, so my losses are always going to be maxed out at that fixed amount. My gains, on the other hand, are potentially life-changing. So this is the gains target I'm aiming for: a life-changing amount. Only then will I cash out my Bitcoin investment. So there you have it, my journey into Bitcoin. I hope it's useful to you. Please note that the above information is my personal view, no more, no less. I'm not a reporter, nor am I a Bitcoin professional. The details are provided as my personal journey only and are not to be taken as financial advice. Also, I have no affiliation with Coin Hako. I am not an investment advisor and above article is for purely informational purposes and is not to be taken as investment advice. Investors are advised to personally undertake adequate due diligence, or to consult a financial advisor in order to determine what assets - if any - are appropriate to invest in. *It's safe to say that 21 million will never be attained for the simple reason that a great deal of Bitcoins have already been irretrievably lost, especially during the introduction phase of Bitcoin, when Bitcoin was worth a fraction of a cent. In addition to these lost Bitcoin, most Bitcoin buyers have placed their Bitcoin in cold storage. In practice therefore, the amount of available Bitcoin in circulation will be much less than the theoretical 21 million maximum in the year 2140. 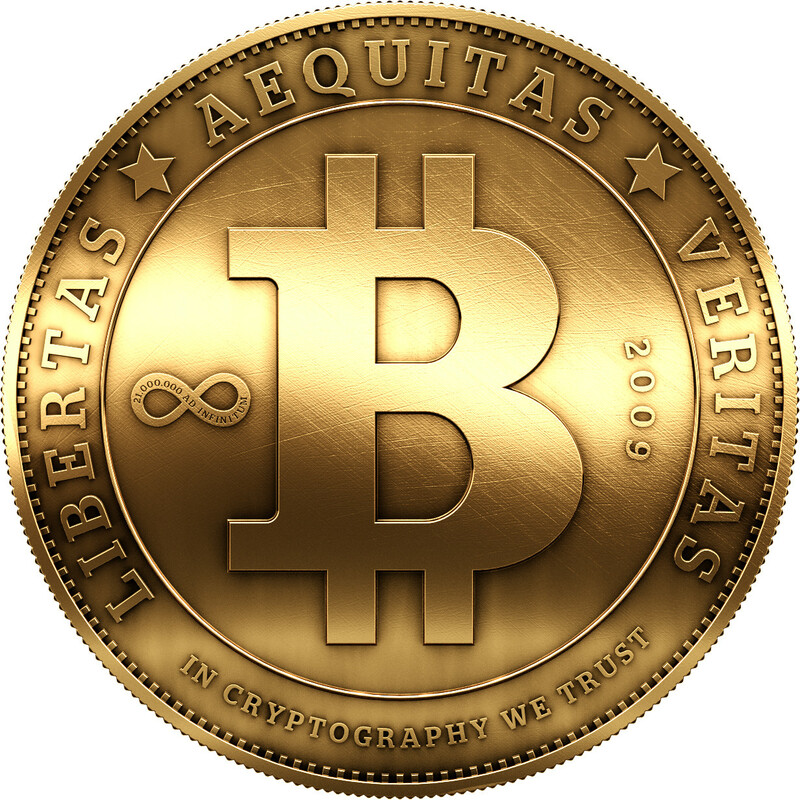 ** There are other ways to acquire Bitcoin, such as i) peer-to-peer, i.e. buying from another person, ii) by earning them through accepting them as payment for your product or service and iii) by so-called "mining". However, as these are not really the best way for Bitcoin newbies to get Bitcoins, I've left them out here. Lastly: If you think this article could be an interesting read for others, perhaps your friends or your colleagues, then by all means link to it in your blog. Cheers. What is Bitcoin? As clarified in a 1.5 minute Youtube video.